ABOUT US — Quality First! The French Bread Factory believes in bridging friendship and business. We can assure you that the quality of ingredients and products obtain the personal attention it deserves every step of the way. For over 25 years, The French Bread Factory has been the leading choice for several of the finest establishments in Maryland, Washington D.C., and Northern Virginia metropolitan area. Quality products and Optimum service are not only a priority but a "tradition", and maintaining this tradition has become our best accomplishment, providing you with the best service in the industry. After many years of been located at the Tyson's Corner Area we moved the manufacturing plant and headquarters to Sterling, with a brand new location, with state of the art equipment, we have taken it to the next level, not only improving our services but also enhancing your experience with The French Bread Factory. 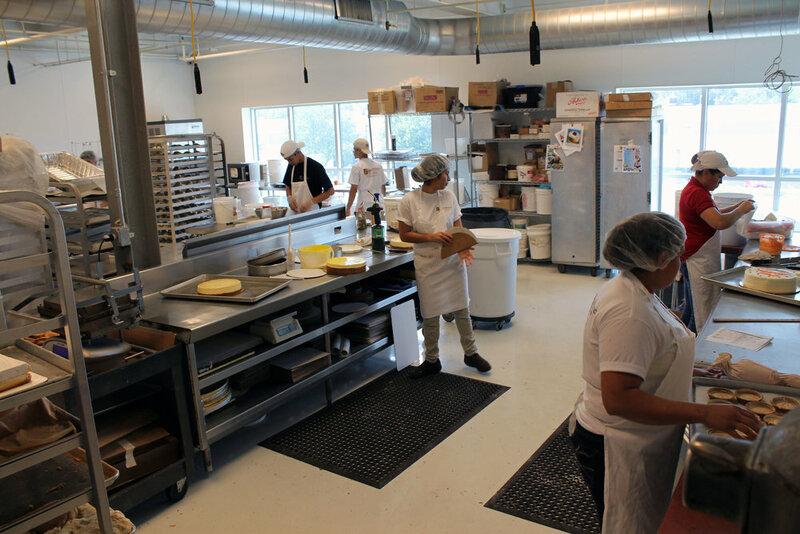 The French Bread Factory is a full line, full service, wholesale bakery serving a variety of businesses throughout Maryland, Washington D.C., and the Northern Virginia metropolitan area. From dinner rolls, croissants, Danish, muffins, to wedding cakes, pies, seasonal cakes and cookies, our vast variety will help you stand out whether you are a caterer, a restaurant owner/manager or for your next personal event. There's a reason we've been around for over 25 years creating products that speak for themselves. Don't forget to check out our Facebook page, and stay updated for any upcoming holiday/season specials throughout the entire year. For our customers convenience we are a all-in-one bakery. We have tailor made our products to suit our customers' needs, no matter how much we have grown over the years, our customers' happiness and satisfaction has always been our main concern. Our products are made with the finest ingredients, baked to perfection, and delivered seven days a week, three hundred and sixty five days a year. The quality of our product is our corner stone and the customer service composes the framework on which our reputation stands. Our Fundamental purpose is to help our customers achieve an effective feedback from their own customers, meet their needs and surpass their expectations, with an unparalleled strong customer service, and ultimately help their business grow as well as ours. Our variety of products and services never stops expanding.